This is a brief but as complete as possible history of what is among the oldest buildings still standing in the original downtown Amherst area. 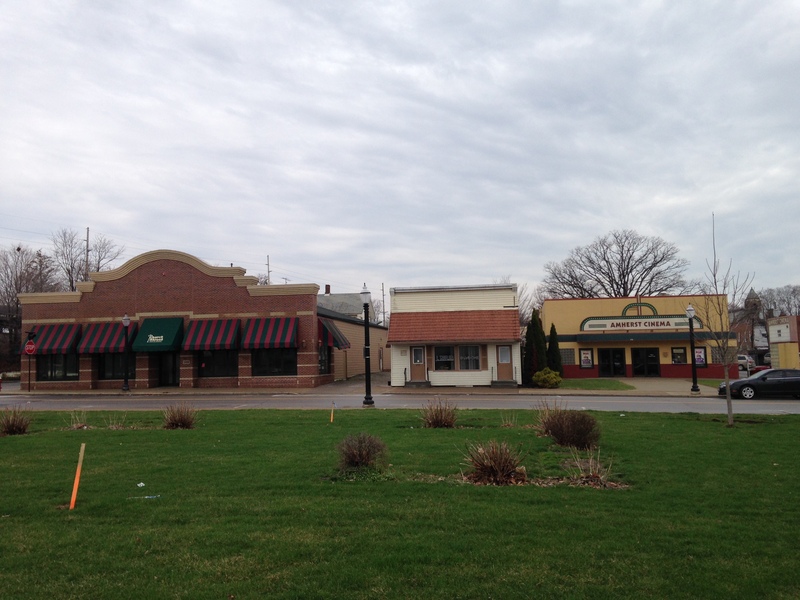 Amherst’s first Town Hall was moved from its original location and is now next to the current movie theater. We learn from Amherst Historian Bertine Foster that the first Town Hall was originally an old two-story house. Justice of the Peace and the founder of Amherst’s original downtown district, Josiah Harris, owned that building in the early years, then located on original town lot #1 near the present sandstone Amherst Town Hall, on Beaver Court. Later Wilhelm Braun owned this property, where his house was built about 1860 (today, the 5 Corners B. & B.). Col. Nahorn stands at the old Town Hall school. April 2015. The first structure on this lot referred to above, was reportedly built about 1830, possibly by Mr. Harris and used as a house. Early on, Wolcott & Hall operated a harness shop on the first floor of the old wooden frame structure, and the second floor soon accommodated a schoolroom and the Village’s first Town Hall or government office, before the town was officially incorporated. In 1849 a fire in the “old Town Hall school” as it was called at that time, destroyed the top floor. This floor was repaired a year later. Another fire again wrecked this upper floor, and this time it was not replaced. 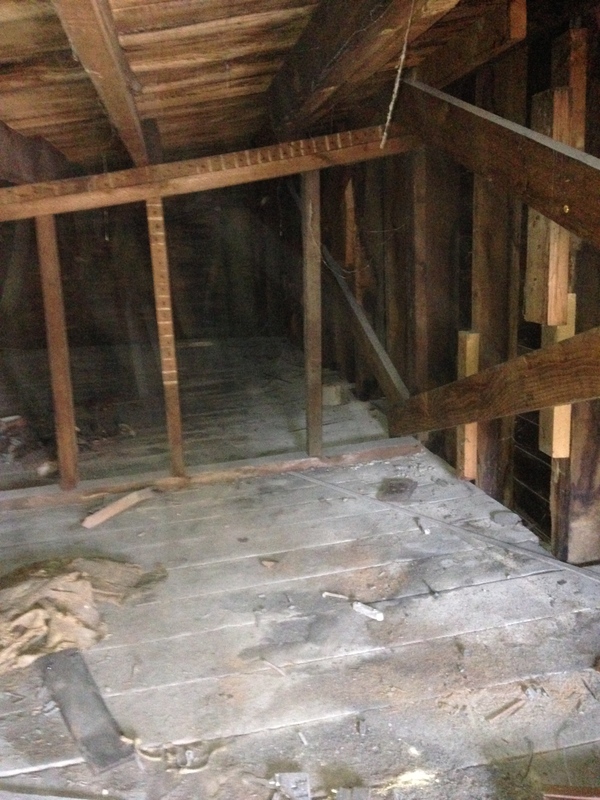 A rare view of the original second floor, later turned into an attic space. 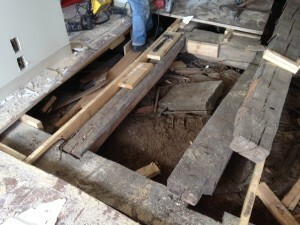 The original wide plank flooring is evident here. As mentioned, at one point it was suggested that the old structure located on original town lot #1 be used as a lecture room and Town Hall. Some significant events that would have occurred in this structure include: in 1876 the fire department was voted on and started out of this building, the town marshal was hired out of the building, the street commissioner was appointed out of that building, and the board of health commissioner was appointed out of that building. Early Amherst township meetings were conducted here as well. 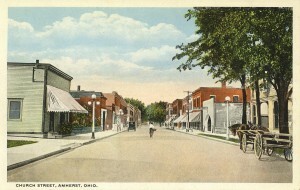 The building was used as a town meeting place, and in 1873 Amherstville was incorporated, changing its name to North Amherst. A mayor and council were thus elected, and this Town Hall was then partly used as a space for council to meet. The new sandstone Town Hall was built in 1884, housing the present council chambers and an opera house, among related offices. The Congregational Church Society was organized December 2, 1834, and for a period of a few years, their meetings were held in the Village Schoolhouse or first Town Hall building. Then in the winter of 1838-39, the first Congregational Church was erected. Amherst Historian Mrs. F. R. Powers noted that this building was used as a school on its original site until 1849 when it was moved to its present location (278-280 Church St.) and used as the first “centralized school.” In 1849 a Mr. Horn, who was later an Amherst postmaster, bought the building and had it moved to Church Street where it is located today. It continued to remain a one-story affair. 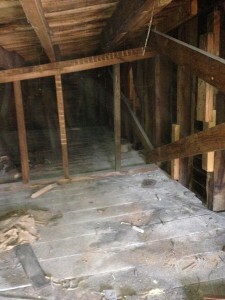 A rare view of the second floor, turned into an attic space. 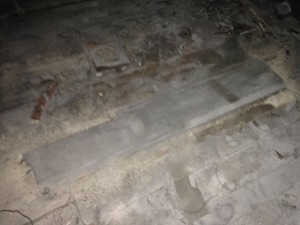 Note the original threshold piece nailed to the floor. Evidently it marked the space between two rooms when this was a two story affair. 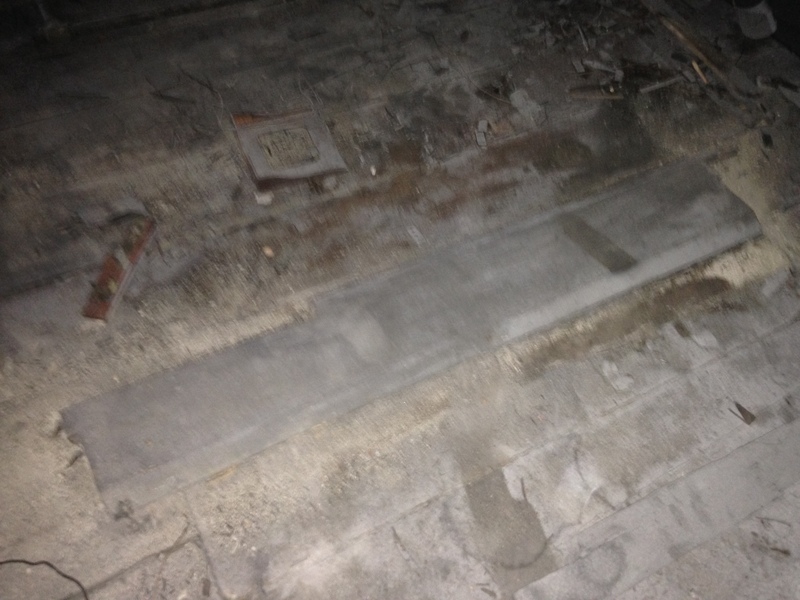 We were able to salvage the threshold. 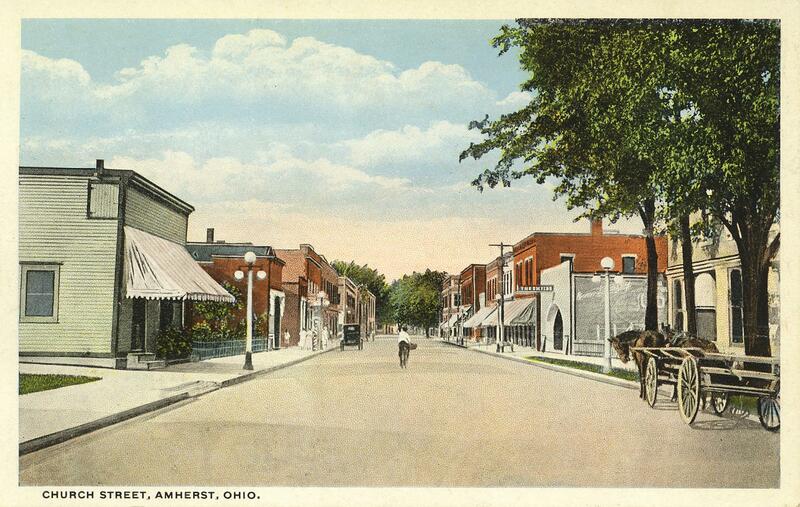 About 1856, Amherstville formed the Union School district, and Amherst pioneer Josiah Harris donated the land at 474 Church Street for a new school. A brick school was built on the present site of the old sandstone Central School, in 1856. It burned July 5, 1893. The first stone Central school was built in 1893 to replace the brick structure. It had a stone over the doorway stating “Public School.” This building burned in 1907. It was rebuilt, and the stone over the doorway was changed to “Central School,” which can be seen today. In 1922 an addition of matching Amherst sandstone was made to the back. It was used until 1984, and it was sold to Sprenger Health Care in 1987. So, even though the old wood frame building ceased to be used as a school after 1856, its use was continued as the Town Hall from 1849-1884, until the present, sandstone structure was built on the town square. It was also used as a temporary school during which the times the other schools burned and were out of commission. 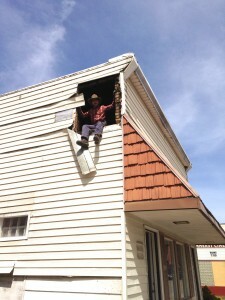 Col. Nahorn exploring the second floor attic space of the building after removing the “hatch door” that was located here. April 2015. Historical view of Church St. showing old Town Hall school building. Note the hatch door on the upper right corner of the building. 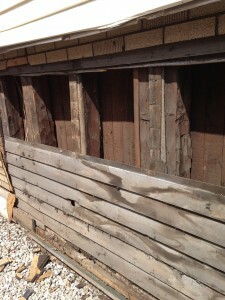 Over the years, the wood frame structure has continued to have numerous occupants as well. From Amherst Historian Fay Van Nuys Ott’s Downtown Business Database, we learn that the North Amherst post office was located here from the late 1800s through the early 1900s, on and off, for a varying amount of time. Ms. Ott’s book on Amherst history also provides other valuable information. 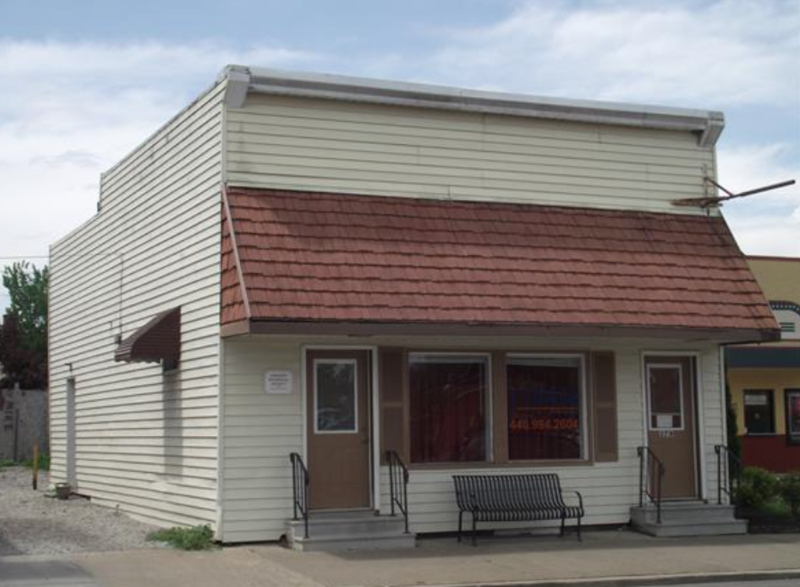 The Black River Telephone Company occupied the building starting in 1894, when J. Orcutt, the first manager of the Amherst phone office purchased this building (this phone office was relocated in 1926). The building was also home to the Rawson Electric Co. Phones from 1878-1900. 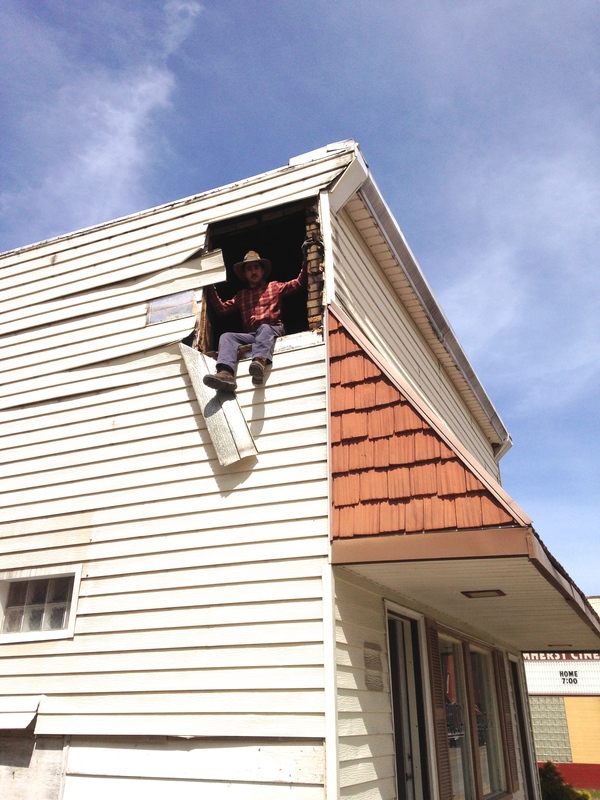 Other uses included: the Trusello Shoe Repair occupied the building for a time until 1942; the Pikey Cab Service from 1947-1948; Moebius Insurance Company from 1963-1972; and “The Amherst News-Times” office from 1972-1978. Most recently a jewelry store (Kolenda) and hair salons have made use of the structure. 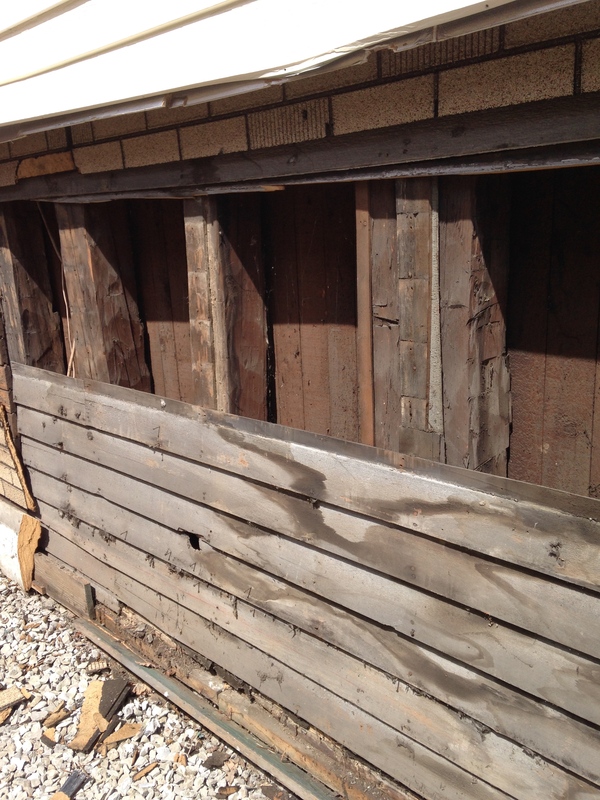 Original clapboard wood siding is exposed on the building. In 1994 the Amherst Historical Society recognized the structure as an historic landmark. Because of alterations to the building over the years, and the fact that it has been moved off its original foundation, its overt historic integrity has been challenged. However, it was decided by the Amherst Historical Society Preservation Committee that the structure qualified as an historic landmark. Not only very early decisions for the fledgling village of Amherst came out of this building, but also decisions for the whole township were made here in the early years. The significance here goes back to its original and “first” uses and those connections or contributions it has made to the advancement of our early community. 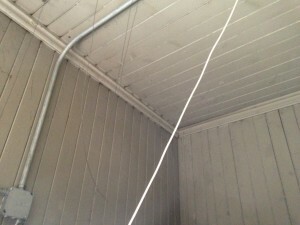 Bead board covers the ceiling and walls of the structure, under several newer walls in many places. The building was offered to the Amherst Historical Society in 2015, to be moved to the Historical Society grounds. 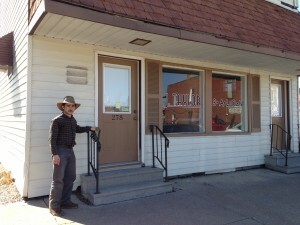 At this time, the old Church Street Bar & Grille building is being remodeled into another business. The new plan is to create a patio and erect a smaller building where the old Town Hall school stands. A special committee was formed, with Historical Society Vice President Col. Matthew W. Nahorn, presiding over this “findings committee,” in order to assess the feasibility of acquiring and moving the structure. After much research, the cost to move and restore the structure was simply not feasible for the Historical Society take on, especially due to an extremely tight time frame in which to raise funds. The structure was also deemed difficult to move. Permission was given to salvage items of historical interest before the structure was demolished. After newer floors were removed, this revealed original hand-hewn beams during exploratory and salvage efforts. The old building, positioned between the former Church Street Bar & Grille and the Amherst Movie Theater. April 2015.